“I treat every client who walks in my office looking for mortgage loan advice as I would treat a sister or brother. I want them to feel like I’m their neighbor or a trusted friend.” – Melina Mariotti. 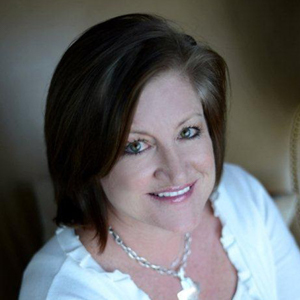 Melina Mariotti has been helping homebuyers in North Carolina’s TRIAD area for over 20 years. She regards every day as an adventure, knowing that each client has a unique story. Kevin O. and Carol O. It was a great experience working with Melina. She was professional throughout the entire process and always available to answer our questions. Michael W. and Kirsten C.
Justin M. and Christina M.
Melina was timely, open, and warm. She was one of the best mortgage bankers I've ever worked with. It was a pleasure! Melina was there with me every step of the way and was amazing to work with. She was the reason I was able to get the house and I thank her so much! Jon H. and Jessica H.
I had a fabulous experience! Lending as it should be! Philip S. and Eileen S.
Our mortgage banker made this not only easy for us, but a very pleasant experience as well. Working with Melina was a breeze. She made us feel as if we were her only customer 100% of the time! Neil H. and Alicia H.
Melina was fantastic and kept us informed and updated all the way through. I will definitely use her again! Flynn C. and Meagan C.
Melina was always friendly and helpful and we really appreciate her working with us. Patrick K. and Pamela K.
Jospeh K. and Jewell K.
Melina was top notch! She answered all of our questions at all times in a timely manner. Mary Q. and Stephen Q.
Melina Mariotti is the greatest and this is the 3rd time we have used her. Melina is the absolute best! She was very helpful and extremely knowledgeable. Melina was great to work with and was able to answer all of our questions, providing valuable insight during the process.